Junglee and Notebook that were released last Friday, have completed their one week at box office. Both the movies recorded lower response than expected and remained low throughout due to mixed reviews. While the action-war drama Kesari got comparatively better response in it’s second week. Directed by Chuck Russell, the Hindi action-adventure Junglee was released with decent expectations. But unfortunately it got failed to impress critics as well as audience despite the excellent performance given by Vidyut Jammwal as always. 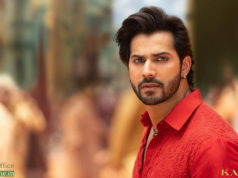 In the opening weekend, the movie reported some growth but remained on a lower side and raked the business of 13.85 crores that included 3.35 crores of Friday, 4.45 crores of Saturday and 6.05 crores of Sunday from 1500 screens. Then in weekdays, it dropped by usual rate and minted the amount of 2.40 crore on Monday, 1.90 crore on Tuesday, 1.55 crore on Wednesday and 1.50 crore on Thursday. With this, total one week collection of Junglee has become 21.20 crores. 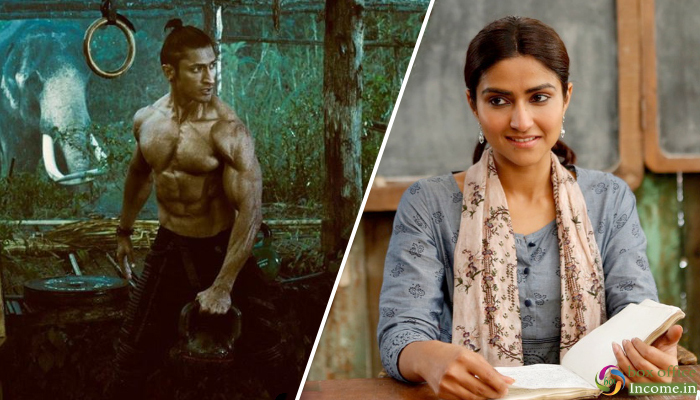 On the other hand, newcomers Zaheer Iqbal & Pranutan Bahl starrer romantic drama Notebook opened to a low note and registered the business of 2.65 crores, that included 0.75 crore on Friday, 0.80 crore on Saturday and 1.10 crore on Sunday. Then in weekdays, Nitin Kakkar’s directorial faced usual drops but still managed to remain almost steady as compare to it’s weekend performance. It garnered the business of 0.50 crore on Monday, 0.40 crore on Tuesday and 0.35 crore on Wednesday. On the next day i.e. Wednesday again, Notebook bagged 0.30 crore and raised it’s one week business to 4.20 crores. 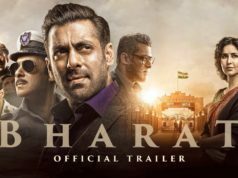 Bharat Trailer: Salman Khan is Back With Yet Another Memorable Performance! Latest Information/Analysis about Movies & Box Office Collection..
2019 © BoxOfficeIncome.in - All Rights Reserved.